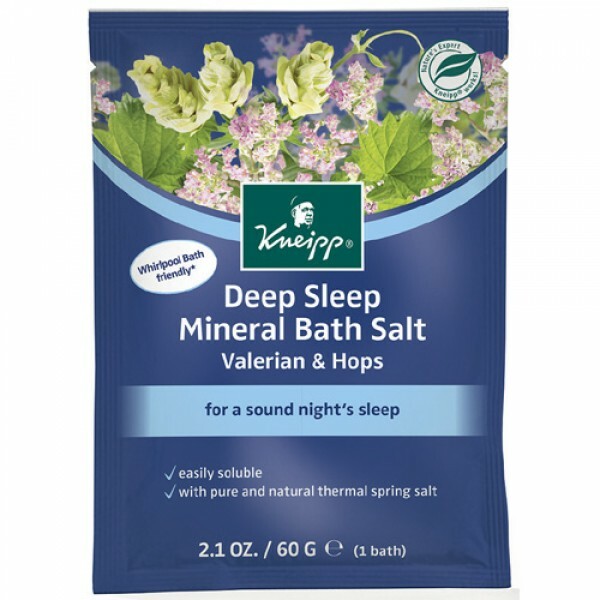 Thermal spring bath salts infused with Valerian & Hops renowned for their ability to aid sleep, and essential oils of lavender & eucalyptus provide a deeply relaxing bath experience. 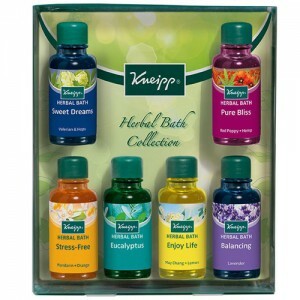 A highly concentrated bath treatment with aroma-intensive essential oils. These salt crystals are evaporated from the pure waters of a 250 million year old underground salt water sea. The salt's unique crystal form is easily soluble and naturally absorbs the essential oils until released into a warm steamy bath. Single use sachet for 1 bath. 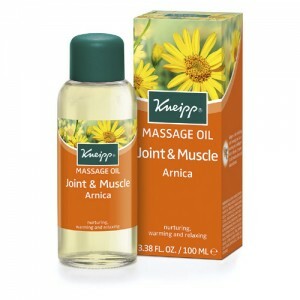 Arnica:Sodium Chloride, Polysorbate 20, Valeriana Officinalis Root Oil, Humulus Lupulus Cone (Hops) Extract, Cymbopogon Nardus (Citronella) Oil, Lavandula Hybrida Oil, Eucalyptus Globulus Leaf Oil, Camphor, Citronellol, Geraniol, Eugenol, Limonene, Linalool, Citral, Parfum (Fragrance), CI 42090 (Blue 1). 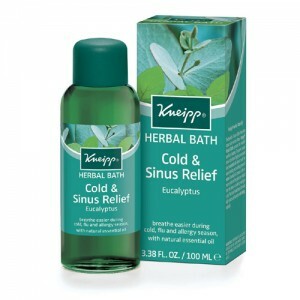 Use one sachet of Kneipp Herbal Salt Crystals for each bath, lie back, breathe deep and relax.